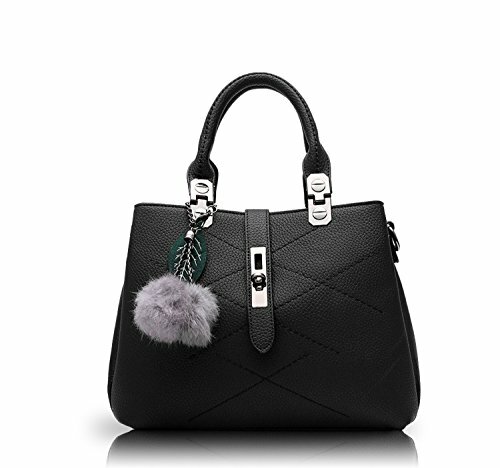 Made of ultra soft synthetic VEGAN LEATHER with fabric lining. MEASUREMENTS: Approx. 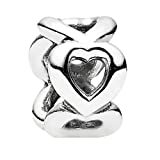 25 x 20 x 8cm. 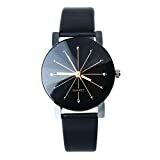 Please confirm the size before purchasing. 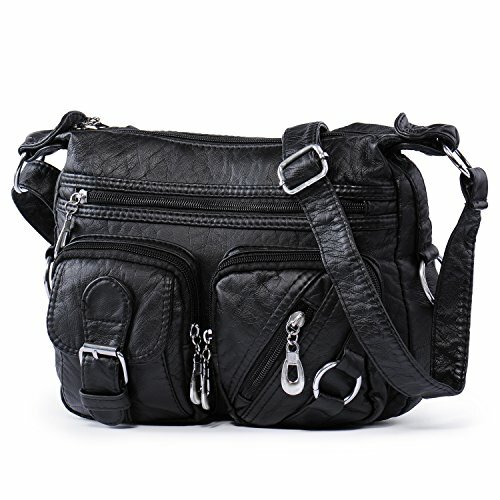 The Main zipper compartment includes: 1 inner side zipper pocket + 2 side open pouches. 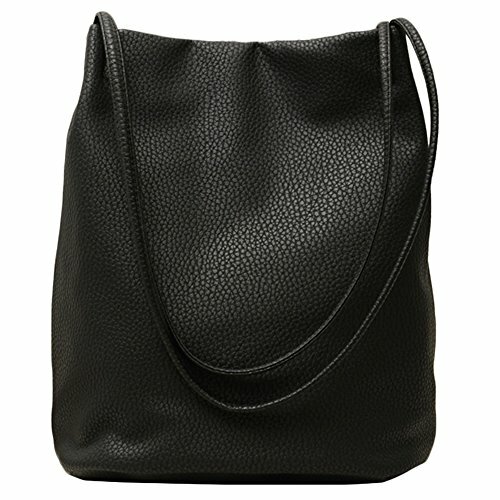 Front of bag: 1 larger zipper pocket + 2 smaller zipper pockets both with 1 little pouch. 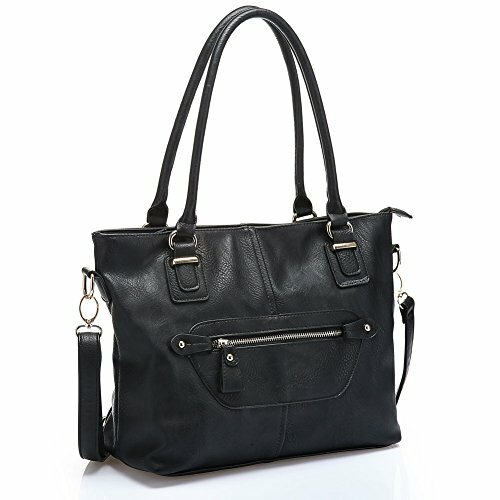 Spacious capacity for holding all the necessities, long adjustable shoulder strap. The Vertical Height of Bag: 61cm~93cm. If you have any problems with your order, just feel free to email us, we will be able to try our best to satisfy you! 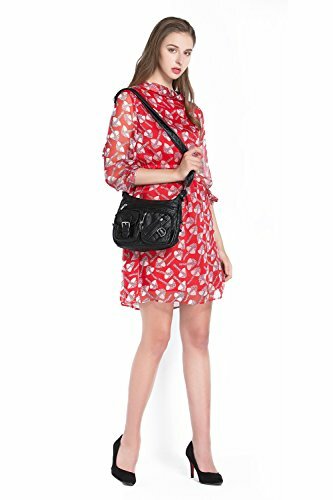 Medium size bag with many single pockets. 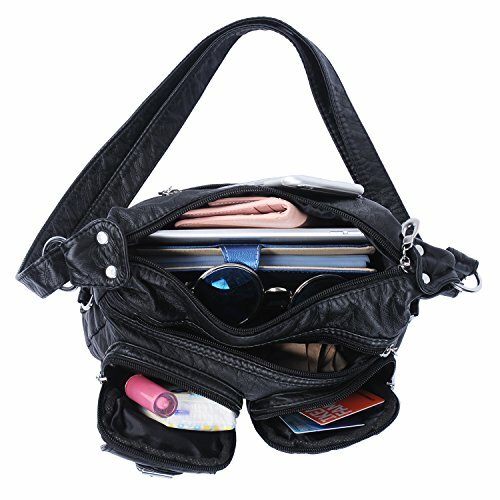 You’ll be able to bring many items wit you, such as, wallet, any size cell phone, keys, glasses, even a small size book. There are several small pouch in the front, can hold coin, cards, passport, driving license and other bits and pieces. 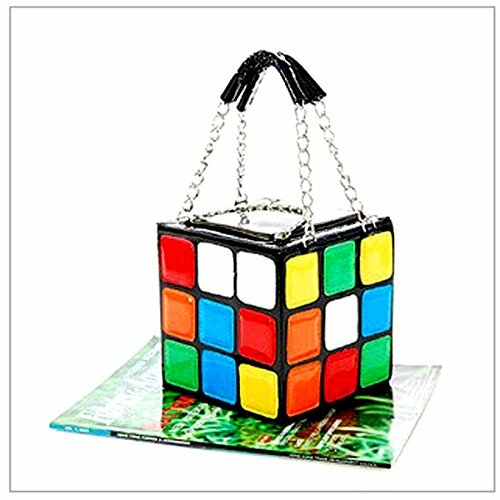 It’s a big bag but smaller than a large purse, so can hold your whole basic stuffs without feeling too bulky. Perfect choice for quite a lot of of out of doors use. 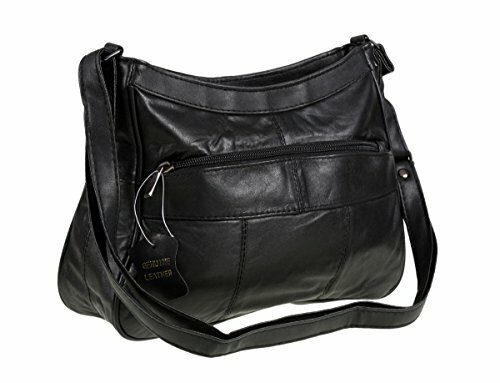 1- The shoulder strap is adjustable. 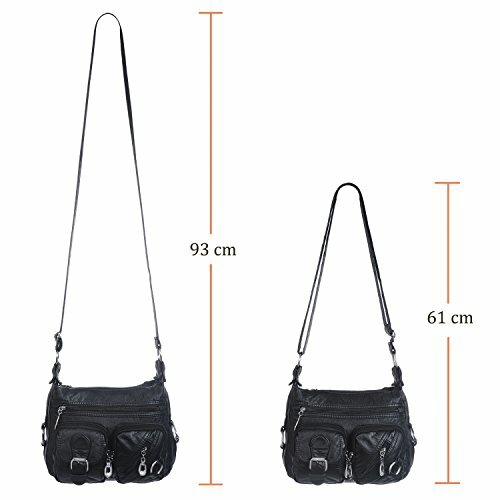 2- The width of shoulder strap: 2.5cm. 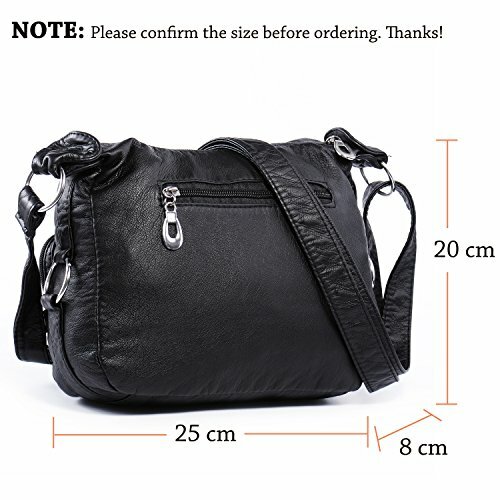 3- Vertical height of bag: 61cm ~ 93cm. 4- Not too bag and not too small bag. 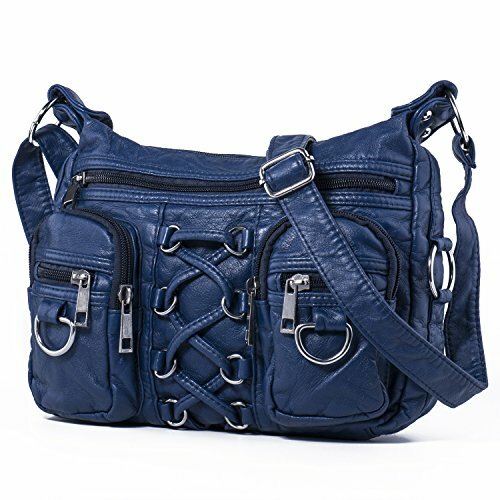 5- Cross over bag, handbag, or shoulder bag through adjusting the shoulder strap. 6- Vintage style and medium size, suitable for female of all ages women with all height. 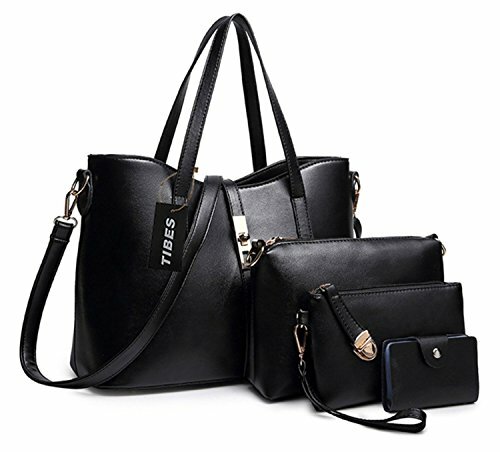 7- Quality and functional bag with reasonable price, can also be as present to wife, mother, girlfriend, grandmother, lady friends when birthday, festival. 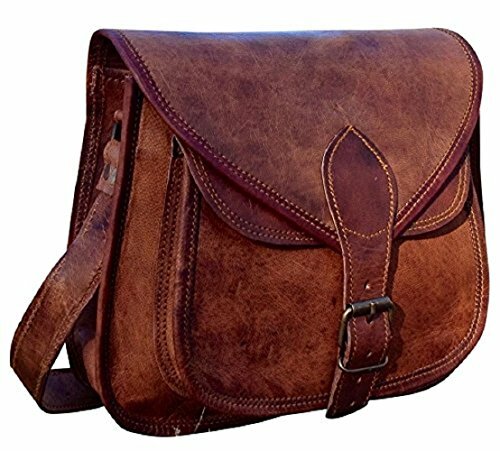 Washed leather is a kind of retro washable leather, compared with other leathers, it has many advantages: softer, windproof, waterproof, nontoxic, washable, breathable, wear resistant, frigostable, Because of these features, washed leather bag is more and more popular. 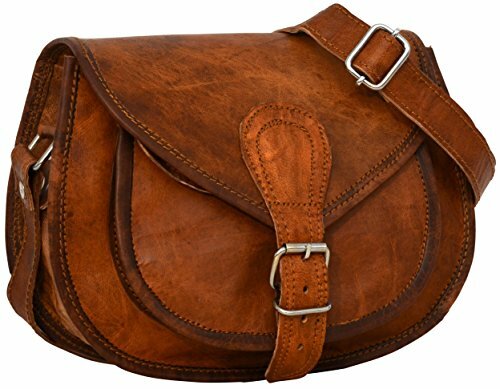 – The shoulder strap is not removable. – Because of manual measurement, the size may have a slight deviation. 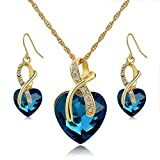 – Please wash with mild neutral shampoo or shower gel with short washing time to reduce fade. 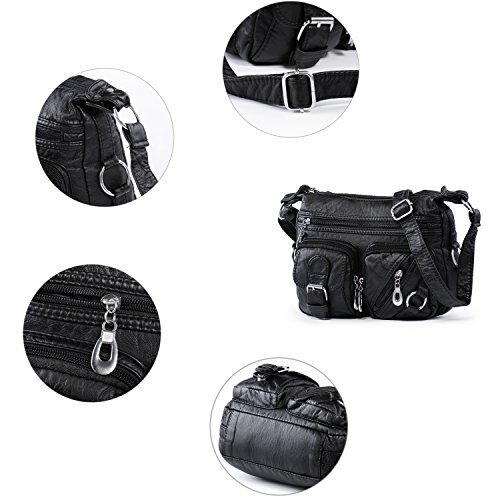 Spacious capacity for holding the entire necessities, long adjustable shoulder strap. The Vertical Height of Bag: 61cm~93cm. 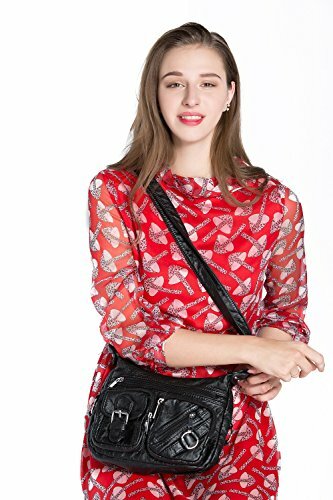 MEDIUM size bag with many zipper pockets, perfect choice for traveling, shopping travel, leisure, work, weekend, travel, school, general each day use.